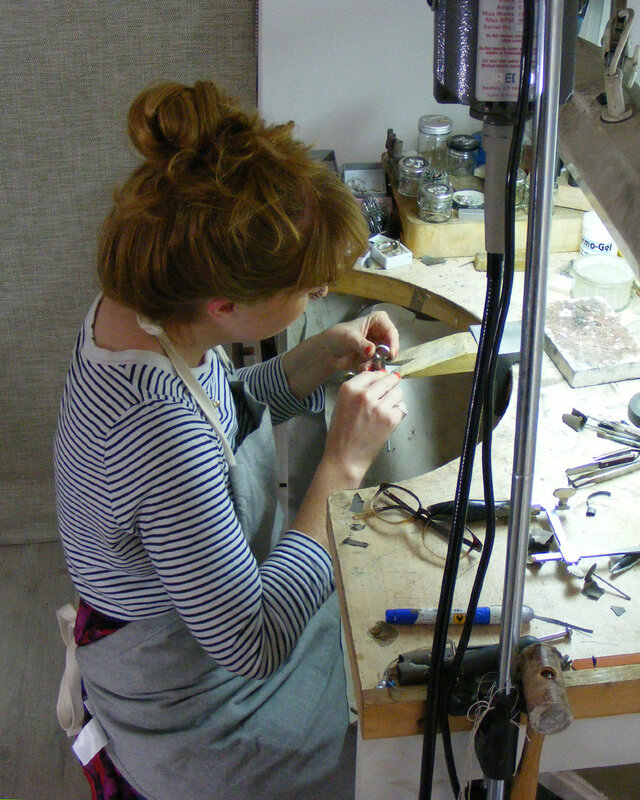 Catherine Rua is a contemporary jewellery designer-maker, and a recent graduate from The British Academy of Jewellery. Working in precious metals, her Times Series collection explores the fluidity of time through bold lines and forms that signify movement, dynamism and direction. Growing up with a father as an engraver, Catherine picked up tools from an early age. Beginning her training in Melbourne's jewellery district undergoing a traineeship, she then moved back to her hometown of London and worked under the expert supervision of Hatton Garden jewellers. After being awarded a scholarship from The British Allied Trades Federation, Catherine then went on to complete her technical training at The British Academy of Jewellery in Hatton Garden.